The noviciate in Genova. The month of the Spiritual Exercises is the first and most important experiment for first-year novices. "This is a month of prayer, a journey to get to know the Lord, a reassessment of one's personal life" explains Fr. Agostino Caletti, the novice master. A typical day includes waking at 7.00am and starting the day with praise followed by time for personal meditation. At 12.15 pm the points for meditation are given. In the afternoon at 16.00 some instructions on topics related to the exercises are explained, such as discernment and different ways of prayer, followed by time of personal meditation. At 18:30 the Celebration of the Eucharist takes place. At 20:30 some common reflections for meditation are shared. This year this experience was held between January 16th and February 16th. 10 Novices participated: Urban, Marco G., Lorenzo, Stefano, Giovanni B., Aleksandar, Filippo, Giovanni LG., Boštjan, Marco M. "A time of great enrichment" Stefano explains. "We have been greatly renewed through the encounter, with a presence whom we have had the privilege to listen to without distractions during these five weeks. Each one of us has come to this experience with different desires and concerns. Each has lived his own inner journey, characterized by joys and difficulties. However, we all benefited from the unconditional love of the Lord, who, respecting our individual personalities, desired to meet us. A God who calls us by name, guiding us and holding our hands through the meandering journey of the spiritual exercises. If the relationship with God is personal and different for each and every one of us, then it is expected that the fruits of this experience are equally personal, and each of us must learn how to guard and cultivate these fruits with patience and commitment. We continue journeying, convinced with a sweet certainty and full of sincere gratitude and a deeper intimacy with a God who, with more confidence than before, we desire to call our Father ". 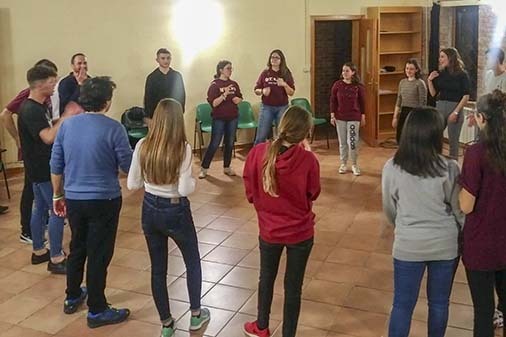 The Jesuit Arrupe Center in Bucharest organized a Leadership in service Course between January 26 and February 24. The formation course involved both leaders and team members of working organizations and focused mainly on service, the authenticity of the group, the relationship dimension, moral courage, spiritual motivation and transformational influence, so that those to whom service is given reach their full potential. There were 42 participants, both Jesuit and lay, from all over the country. During Lent 35 persons will be going through the experience of the Spiritual Exercises in daily life. 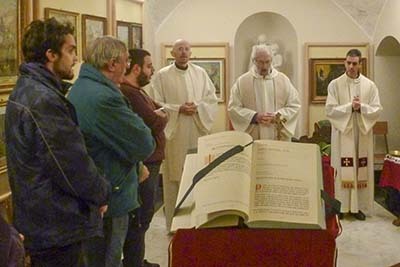 Every Friday the young people and university students who form part of the formation group of Pietre Vive are attending a meeting of self-discovery through the reading of the Divine Comedy and the Spiritual Exercises to bring order into their life. This journey has been proposed by the community of the Gesù Church at Casa Professa, Palermo. 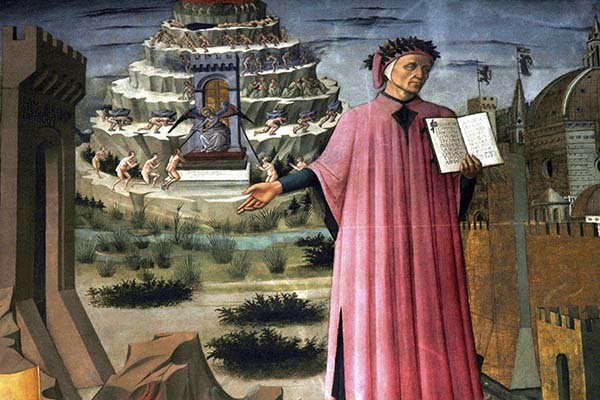 Professor Gaspare Fasullo, Literature professor and expert on the Divine Comedy and Fr. Walter Bottaccio SJ, rector of the Church, are leading this spiritual journey. 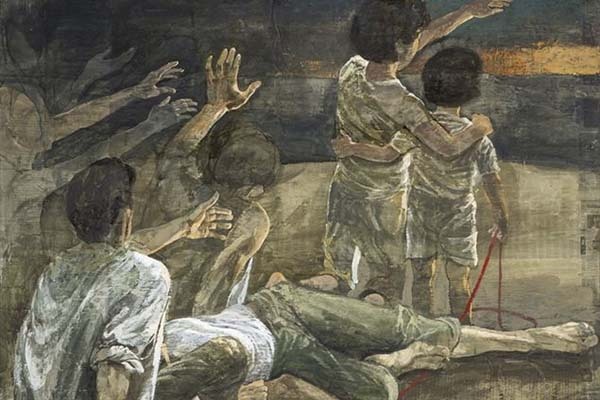 "Exodus", an exhibition by Safet Zec, has reached the Caravita oratory. The Bosnian artist, who designed the altar of Deposition at the Gesù church, created a series of panels representing the drama of the exodus, of forced migration. "It is a contemporary via crucis," commented Cardinal Gualtiero Bassetti, president of the Conference of Italian Bishops. The panels displaying Exodus, designed with different techniques, narrate the drama of the desperate passengers on sea rafts or the bodies of children, like Alan, smashed lifeless on the Mediterranean shores. The exhibition, requested by the Migrants foundation, by Caritas Italia, Caritas Rome and supported by the Euro-Mediterranean Province, will remain on display until 31 July. In a time when the gates of Europe seem closed to people in need of protection, JRS Italy is opening a new reception and integration centre for asylum seekers and refugees. The idea of opening a new centre was inspired by Pope Francis’ appeal to open the houses of religious congregations to host refugees on the occasion of his visit to JRS Italy in 2013. The new centre bears the name of Matteo Ricci, a Jesuit who dedicated his life to putting himself in other people’s shoes and looking for the path of dialogue and integration in China. President of the Republic and General Superior The Center was inaugurated 4 February, in the presence of the President of the Italian Republic and the Superior General of the Society of Jesus, Arturo Sosa. The event brought together refugees, volunteers, staff and friends of Centro Astalli as well as institutional representatives of the Church. “I believe that opening a reception and integration centre is a strong sign, from a symbolic and concrete point of view,” said Father Camillo Ripamonti, Director of JRS Italy. He also stressed that our current society has an attitude of closure towards migrants, cautioning that such an attitude “takes hold of us,” making us “dry” and “less human” if we adopt it. The inauguration of the Matteo Ricci Centre is a sign of hope. 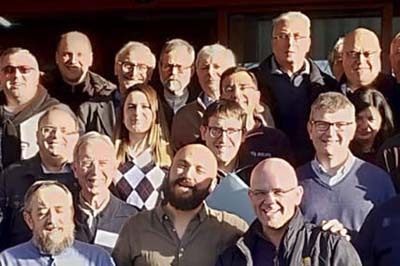 Centro Astalli continues to open a door to refugees and migrants who are experiencing difficulties in this phase of radical legislative transformation. In the Centre, they can find a home and build new relationships that arise from the encounter. The Superior General Arturo Sosa reminded attendees in his speech that one of the key words of JRS’ mission is “to accompany” migrants and refugees. “It recalls the deep respect that Matteo Ricci had for each person as a companion on the journey”, said Sosa. The Matteo Ricci Centre aims to focus especially on young people by accompanying them as they ask themselves about their own professional and training needs and allowing them to cultivate dreams for the future. “This is the only feasible way forward for integration. We are convinced that in doing so we open a door of hope also for our city, for our country, because creative and educational development within these walls will help to build a supportive community beyond them,” Father Ripamonti concluded. 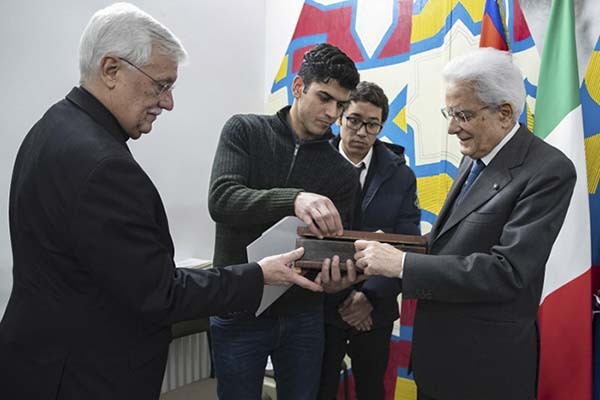 Picture: Mohammed, a refugee from Egypt, gives a present to the President of the Italian Republic for the inauguration of the new Matteo Ricci centre (Photo: Centro Astalli).